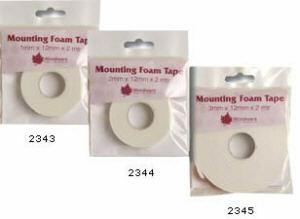 Double sided foam adhesive tape. For 3D work and decoupage. Available in 1mm,2mm and 3mm thicknesses. 2 metres per roll.